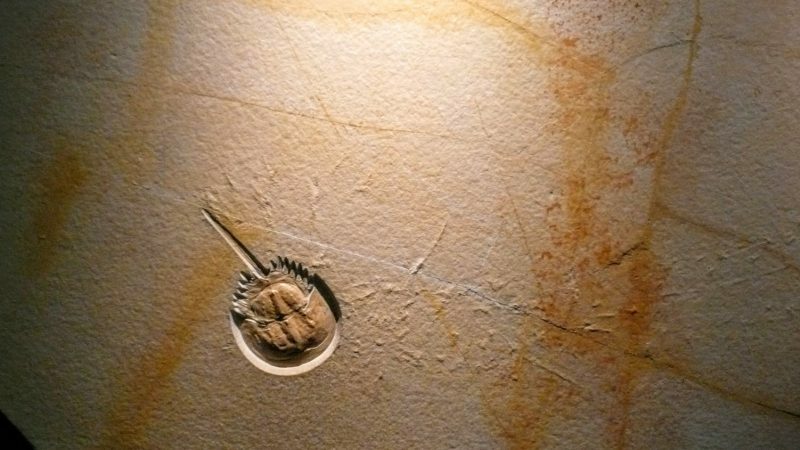 Fossilized horseshoe crab, Fukui Prefectural Dinosaur Museum. Photo by Nevin Thompson. Fukui, Japan's least-known prefecture  to international tourists, is home to one of the most impressive dinosaur museums in Japan, if not the world. With a collection of about 40 different species of dinosaur , the museum features a massive variety of displays that make for fantastic Twitter  and Instagram  posts. We have arrived at the Fukui Prefectural Dinosaur Museum. The Fukui Prefectural Dinosaur Museum in Katsuyama, Fukui, is built into a hillside, and is designed to look like a dinosaur egg. The whole mountain features dinosaur exhibits and dinosaur-themed activities. The Fukui Prefectural Dinosaur Museum, in Katsuyama, Fukui. Photo by Nevin Thompson. 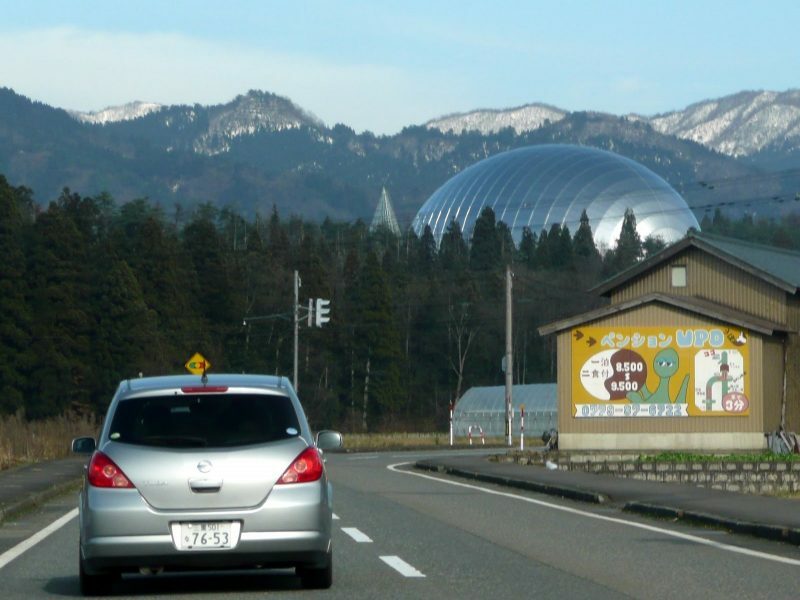 The museum was opened in Katsuyama, a rural township about 600 kilometers southwest of Tokyo, in 2000 . The museum features realistic displays that were designed with input from the Royal Tyrrell Museum  in Alberta, Canada. Visitors to the museum are greeted by Fukuiraptor , a theropod dinosaur native to Fukui that was described and classified in part by Philip J. Currie  of the Tyrrell Museum. Fukuiraptor was discovered in the Kitadani geological formation  just north of Katsuyama. The mountains of Fukui Prefectures are one of the few places where dinosaur remains can be found in Japan. Besides local specimens, the Fukui Prefectural Dinosaur Museum features complete recreations of many different dinosaurs, including Tyrannosaurus rex. There are also stunning recreations of dinosaurs, such as this Allosaurus, that visitors can view up close. The hillside outside the museum is also dotted with realistic dinosaur displays, such as this Deinonychus  attacking an Iguanodon. And the hilltop above the museum is giant park with other not-so-realistic displays that make for great social media posts. I am a cat  human? Fukui Prefecture is hard to reach by tourists, and is still waiting to be linked with high-speed rail service to Tokyo . The rural and picturesque prefecture is generally passed over by tourists traveling to the old castle town of Kanazawa  to the north. 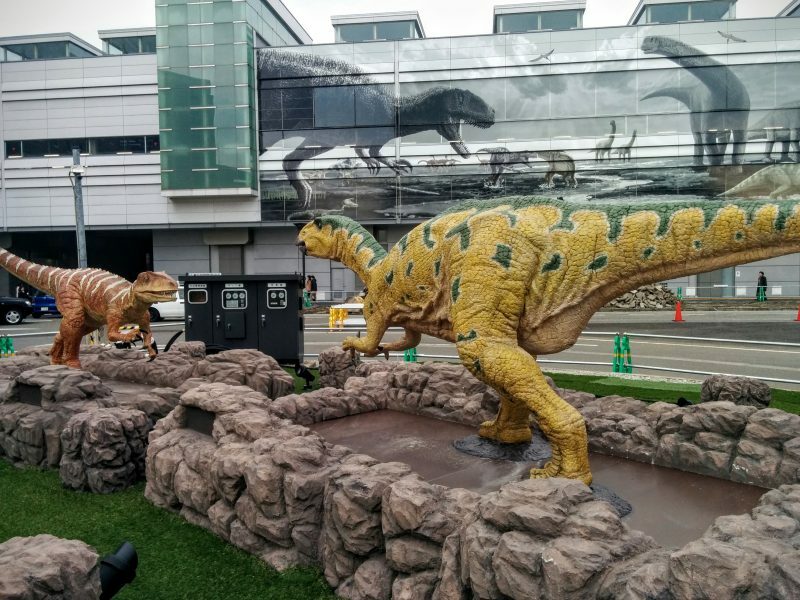 The prefecture has branded itself as Japan's dinosaur ground-zero in order to appeal to tourists, and persuade them to consider stopping in Fukui. Dinosaurs at Fukui Station. Photo by Nevin Thompson. If you want to explore more of Fukui's dinosaurs, follow the hashtag #福井県立恐竜博物館 on Twitter  and Instagram .